Most consultants spend a lot of time networking. But very few do it as effectively as they could. They often spend their networking time at traditional types of events that are unlikely to lead them to new prospects. At SPC’s April dinner meeting, longtime consultant Norman Daoust will introduce his concept of “Networking Pyramids”: a hierarchy of places to network and a hierarchy of activities. Then he’ll explore ways to apply these to your individual situation. The Networking Pyramid applies equally well to consultants of all types. He’ll also examine a potentially controversial definition of networking. This presentation is ideal for consultants who want to build their businessesundefinedbut it’s also valuable for anyone wanting to be a better networker. Why SPC meetings may not be the best place for its members to network! "Your presentation helped many of us put the picture all together, and occasioned a good follow-on exchange of ideas." "Thank you for being a relevant and engaging speaker! Your topic was on target." 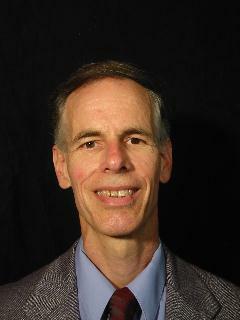 Norman Daoust founded his consulting company, Daoust Associates, www.DaoustAssociates.com, in 2001. His consulting specializes in data modeling and database design, and healthcare electronic data exchange using the HL7 standard. His clients have included the Centers for Disease Control and Prevention (CDC), the Veterans Health Administration (VA), the Canadian Institute for Health Information, and a Fortune 500 software company. Norman speaks frequently at national and regional conferences, including Project Summit & Business Analyst World. For ten years he has presented workshops on consulting for unemployed professionals. His book, UML Requirements Modeling for Business Analysts, assists business analysts in making requirements both more concise and precise. Norman is an engaging speaker who enjoys making complex topics easy.